Since the time we were little children, we have heard the story of Noah and the Ark. We loved hearing of the great flood, and in particular about all the animals coming to Noah in twos and threes. Perhaps our fascination is that part of little children that loves animals, and water. We also love rainbows. This story has all the makings of a Grimm Fairy Tale. The seemingly innocuous story, with its beautiful images, and pretty pictures, somehow belying the dread and sorrow hiding just beneath the surface. While this may be perfectly fine for a children’s fable, it does great injustice to a story as compelling and insightful as the story of Noah, and the great deluge, and the promise. The most significant difference, is hopefully the most obvious: this story is true. As we will see in chapters to come, the epic tale of Noah and his splendid ark did in fact happen. More importantly, the message it conveys to us is every bit as important today as it was to a persecuted prophet thousands of years ago. Isn’t it interesting that the Lord is specific in his granting this covenant to “perpetual generations”? This sign was not just given for Noah, or those with him, or even those who knew him, but for everyone, even in the furthest reaches of time. It is a sign for us. It is a story for us. But, how much of your time is consumed with worrying about a flood? I happen to live along the Mississippi River, and there are times when I do worry about a flood. It might inconvenience me, it might cause my basement to flood, it might even prevent me from getting where I want to go if roads are washed out. But, I do not worry that it will cover my house, or that it will cause me or my loved ones to be in danger, and I certainly do not worry that it will cover the earth. So, this promise seems a little foreign to me. Does it to you? There are other floods I do worry about. Psalms 18:4 says “The sorrows of death compassed me, and the floods of ungodly men made me afraid.” Psalms 69:2 reads: “I sink in deep mire, where there is no standing’ I am come into deep waters, where the floods overflow me.” I can relate to these floods, they are very real to me. They trouble me, and those I love. The promise of the bow then, is also a reminder to us that the Lord has promised us, that by keeping his commandments, by being obedient, by building our house upon the rock, he will remember his promise and never allow us to perish. The story of the bow is important because it is our story. The bow is a promise made to us and our families. We must understand it to take advantage of this amazing covenant. And once we understand it, we must stand for it. In a world intent on drowning out a still, small voice with a cacophony of misinformation and misrepresentation, we are warned to remember, to stand, and to defend. While others may be encouraged by evil forces to adopt the bow as a symbol of their own choices, we can be the guardians. As you will see, it is not simply a beautiful, colorful symbol, it is a token. A token of something important and valuable. R. Lane Wright’s new book, the Token of the Bow, will arrive on May 1st, 2018. 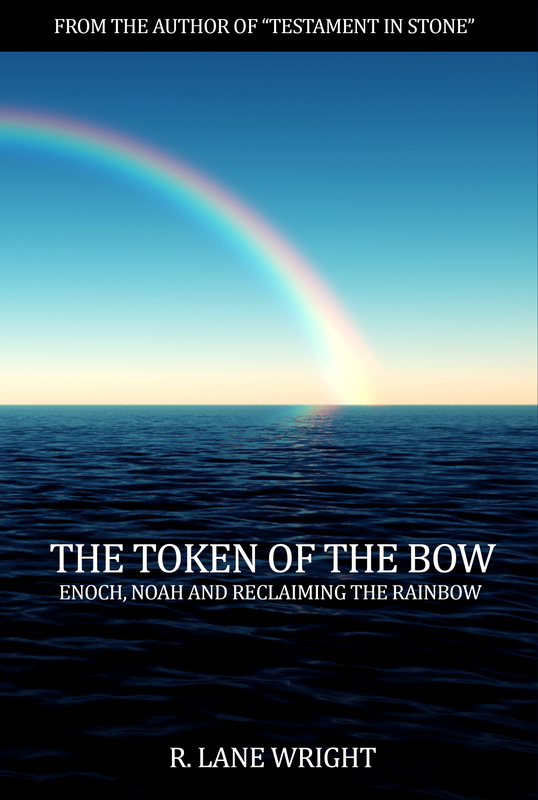 Learn of the amazing science of light and rainbows, the true nature of Noah’s flood, and the significance of the flood and the token given by God. It’s time to reclaim this meaningful token, and remember! Author R. Lane Wright will be speaking at Untold Nauvoo Stories this February. His topic will be The Battle of Nauvoo. Learn how this 1846 period of conflict was seen throughout the country, how it affected the politics of the time, and what its lasting legacy has turned out to be. R. Lane Wright’s lecture, given March 15th, 2015 in Nauvoo, is now viewable online. His book, Most Glorious of All is published by The Nauvoo Press. On February 7th, R. Lane Wright participated in the 2015 Untold Nauvoo Stories Symposium. 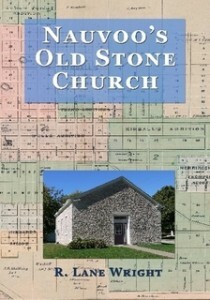 His lecture, “Nauvoo’s Old Stone Church” is now available for online viewing. Saturday, February 7th at 4:00pm R. Lane Wright will present “Nauvoo’s Methodist Stone Church” as part of the Untold Nauvoo Stories Symposium. The Symposium lectures are presented at the Joseph Smith Historic Site Visitors’ Center, 865 Water Street, in Nauvoo. Nauvoo’s English Methodist Church building is a microcosm of Nauvoo’s history. Built by German immigrant Michael Baumert using Nauvoo Temple stone, then used by the American Legion, and finally by other local groups and businesses, it is an untold piece of Nauvoo’s varied past. R. Lane Wright’s lecture on the symbols of the Nauvoo Temple, and an introduction to baptism for the dead is now on YouTube. This lecture was given January 12th at the Nauvoo Visitor’s Center.